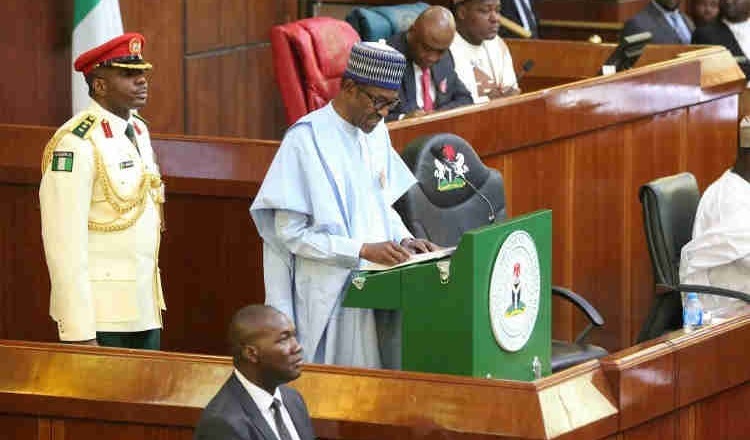 President Muhammadu Buhari on Wednesday presented to the National Assembly an N8.83 trillion naira budget for 2019 amidst boos and applause from lawmakers. in the fight against corruption. 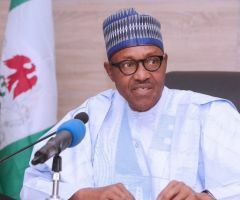 The proposal submitted by the president was prepared with a benchmark of $60 per barrel for crude oil, with an average 2.3 million barrels per day and a dollar to naira exchange rate of N305. The 2019 appropriation bill include N4.04 trillion for Recurrent expenditures while Capital expenditure hlaf of that at N2.031 trillion. N2.14 trillion was budgeted for Debt servicing, Statutory transfer at N492.36 billion and N120 billion for Sinking Fund. Buhari rejects five more bills from National Assembly.